Keeping your Bayonne, New Jersey floors clean is tough work! A Friendly Carpet Cleaning & Restoration LLC can remove your floor cleaning headaches (and backaches!) We have been providing professional Bayonne floor cleaning services since 1995. Say good-bye to tedious mopping and scrubbing and reclaim some “me time”! Let A Friendly Carpet Cleaning & Restoration LLC do the tough work for you. Our Bayonne floor cleaning experts will make sure to clean every inch of your floor, leaving nothing but shine. Don’t wait, call (973) 264-9133 and find out why A Friendly Carpet Cleaning & Restoration LLC offers the most meticulous floor cleaning Bayonne has seen! A Friendly Carpet Cleaning & Restoration LLC is experienced in all types of Bayonne floor cleaning. One of our specialties is Stone Floor Cleaning for Bayonne, NJ residents. Our we really understand stone floor cleaning, and have the experience and know how to make your stone floors shine. For a deep Bayonne stone floor cleaning, look no further. We'll use our special buffing machine to remove build up, and a chemical free cleaning process that will render your floors spotless, all while protecting children and pets. A Friendly Carpet Cleaning & Restoration LLC is experienced in cleaning a wide variety of flooring surfaces, and we'll match the product to the surface to give the most effective floor cleaning. For wood floors cleaning, Bayonne homeowners call on A Friendly Carpet Cleaning & Restoration LLC to use our proven techniques to bring back the beautiful luster. 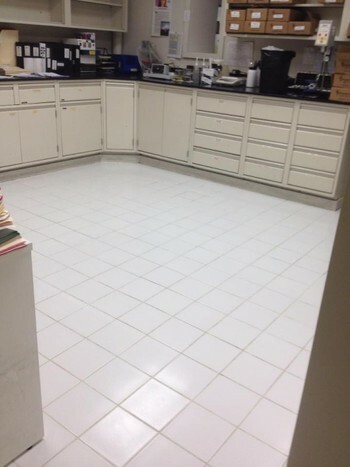 For a Bayonne tile floor cleaning, we utilize a cleaning solution that works best for grout and tile cleaning, so that stains and dirt will be thoroughly removed. To remove scuffs and clean laminate flooring, Bayonne homeowners rely on A Friendly Carpet Cleaning & Restoration LLC's proven methods, which leaves their floors sparkling clean. Call A Friendly Carpet Cleaning & Restoration LLC today for a free estimate and find out why we're Bayonne's preferred floor cleaners!